Are you hitting the Mall this weekend? Here is an updated list of some coupons to take with you! Just don’t forget to print your favorite ones before you head out. Bath & Body Works: Print a coupon for a FREE Signature travel size item with any purchase! 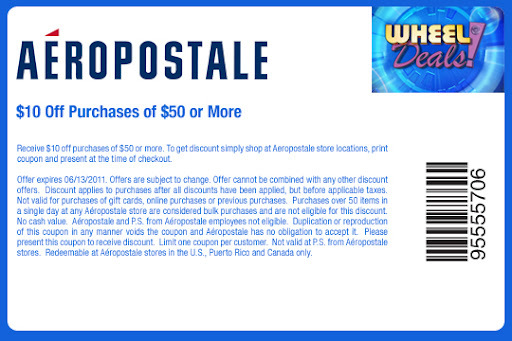 (expires July 13) Be on the look out for surveys on your receipt to get $10 off a $30 purchase too. Also the Clerks at my Store are handing out FREE signature item with a $10 purchase coupons. Also, Every Wednesday Everyone ‘Age 60 or better’ gets an extra 15% off! No shopping pass or coupon needed. What other deals or coupons are you finding? Are you looking to do some shopping this weekend? Don’t forget to print those coupons! Yankee Candle – Save $10 on any purchase of $25 or more limit one per customer (expires July 3). Let us know what other coupons or deals you find! If you’re out shopping today, swing by a Borders and get your FREE medium coffee or classic latte, for Border’s Reward members. Print your coupon here. Limit one per person. Valid today only, 12/17. By the way – Borders.com is offering FREE shipping all day today 12/17, no minimum! Right now over at Borders you can get a $10 gift card when you buy a $50 gift card. You can get one $50 gift card or two $25 gift cards. If you know you’re going to be spending at least $50 at Borders in the near future, I’d be buying this for yourself – it’s essentially like getting 20% off on all your purchases (plus because it’s a gift card you can use coupons when you make your purchases with them)! There of course is no shipping on gift cards. This offer is only available online at Borders.com through November. 13. If you know a college student – this would be a good thing for them to buy because they’ll be getting an extra $10 toward their textbooks if they buy them at Borders because we all know textbooks are at least $50 these days, sheesh! While you’re over at Borders use coupon code BGU1399K to get 20% off your purchase, can’t be used on gift cards. Print a coupon to save 40% off one item, in store only, at Borders. Valid 9/3 – 9/6. Must have a Borders Rewards membership (FREE to sign up, in-store or online). Offer cannot be combined with any other offer, promotion, sale pricing, coupon or discount. I received an e-mail with a coupon for 40% off any one kids’ toy or game at Borders now through Monday, June 28! This is a great way to score a toy that doesn’t go on sale very often – like the Toy Story Lego set (or other Lego set) or Melissa and Doug toys. You’ll need to be a Borders Reward member to use the coupon, but it’s FREE to sign up. Limit one. There is a coupon for 33% off any one item. This coupon can be used online at Borders.com with the promo code BLH7901J. Also valid through 6/28/10. Reminder – Borders Teacher Appreciation Week starts today! Just a reminder that today, March 19, is the first day of the Borders Teacher Appreciation Week. Just bring proof that you are a current or retired educator and you’ll get 30% off your order. Check out my original post here. Starting this Friday, March 19 Borders is offering a special 30% off discount to current and retired educators in honor or Teacher Appreciation Week. The discount is available for the week of March 19 – 27 on the regular list price of items that you buy for personal or classroom use.